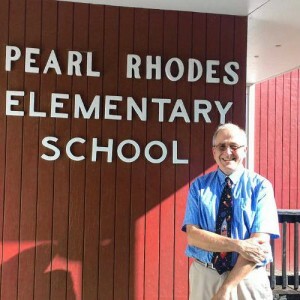 LEYDEN — Bernardston Elementary School Principal Bob Clancy is taking on a new role this year, doubling as Pearl Rhodes Elementary School’s principal in neighboring Leyden. Clancy stepped in to replace former principal Deanna Leblanc, who announced last month she accepted another job and would not return for the 2017-2018 school year. Though efforts to reach Leblanc were unsuccessful, Gateway Regional School District’s website shows Leblanc as the assistant principal of Gateway Regional Middle and High School in Huntington. Pioneer Valley Regional School District Superintendent Ruth Miller suggested during the School Committee meeting she felt Leblanc found another job due to the discussion about potentially closing Pearl Rhodes — which currently has 33 students according to Administrative Assistant Carolyn Curtis. However, no decisions have been made regarding closure. Leblanc worked as Pearl Rhodes principal for one year, serving concurrently as early education coordinator for the district as Christine Maguire had done before her. Renee Keir, a teacher at Bernardston Elementary, will now double as early education coordinator. Miller said because of discussion around potentially closing Pearl Rhodes, and because of the school’s close proximity to Bernardston Elementary (a 13-minute commute), she thought having Clancy work as principal for both seemed like the best decision.